2 wounded after woman shouting 'Allahu Akbar' stabs shoppers in French supermarket. Two people were wounded in a stabbing attack in a supermarket in southwestern France Sunday. The incident occurred in the town of La Seyne-sur-Mer on the Mediterranean coast at around 10:00 a.m. local time. 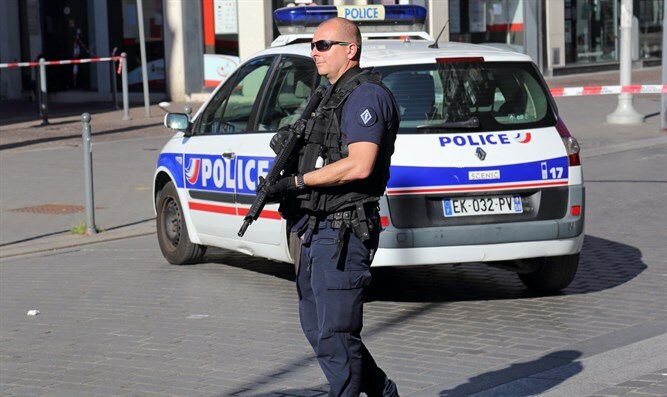 French media outlets report that a woman dress in black shouted “Allahu Akbar” in an E.Leclerc supermarket in La Seyne-sur-Mer, and began stabbing people waiting in a checkout line. One customer was stabbed in the chest, while a store employee working at the checkout counter was also wounded. According to BFM TV, investigators suspect the stabbing was an “isolated incident”, citing the suspect’s history of mental illness, but said terrorism could not be ruled out. Supermarket staff members were able to overpower the assailant shortly after the attack began and held her until officers reached the scene of the attack and took the suspect into custody. Police have opened an investigation into the attack, and are searching the suspect’s home. Initial reports say the woman was born in France and is 24 years old. While the suspect has a criminal record, she did not have any known ties to terrorist groups. Nevertheless investigators are probing any possible ties to ISIS or other international Islamic terror organizations. On May 12th, a man shouting “Allahu Akbar” stabbed several people in central Paris, killing one. Police later shot and killed the attacker.